LINCOLN, Neb., June 4, 2009 -- Francis Allen, 66, who has served as men’s gymnastics head coach for the University of Nebraska for 40 seasons and won eight NCAA team championship titles, announced he is retiring effective July 1, 2009. Allen, who had nine former gymnasts compete in the Olympic Games, was the head coach for the men’s 1980 and 1992 U.S. Olympic Gymnastics Teams. Under his leadership, his gymnasts won nearly 30 U.S. titles. "I first met Francis when I was a high school gymnast attending my first national team training camp at the University of Nebraska," said Peter Vidmar, chairman of the Board for USA Gymnastics and 1984 Olympic gold medalist. "I was so impressed at his desire to really take care of the athletes, making sure our needs were met. His passion for the sport and his technical skill was easily observed, and he was terrific at getting his athletes ready for competition. The results speak for themselves, but amongst all of Francis Allen's contributions, what I admire most is genuine concern for the athlete. He always put the athlete first. 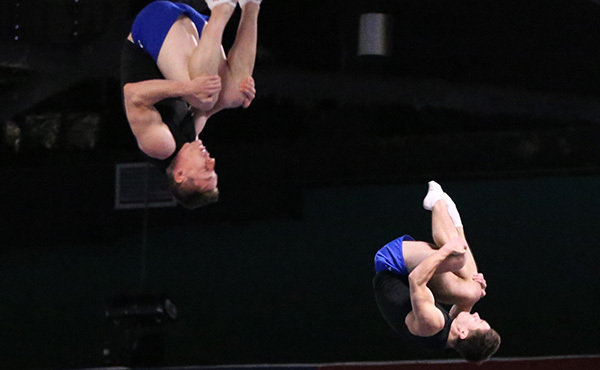 While we will miss him on the competitive floor, his legacy continues through the significant contributions still made by his former athletes. We wish him well in retirement." Several of Allen’s gymnasts were members of the 1984 U.S. Olympic gold medal men’s team, including Jim Hartung, Scott Johnson and James Mikus (alternate). In addition, former Nebraska gymnast Trent Dimas won the high bar gold medal in 1992, becoming the first U.S. gymnast to win a gold medal at a non-boycotted Olympic Games in 60 years. 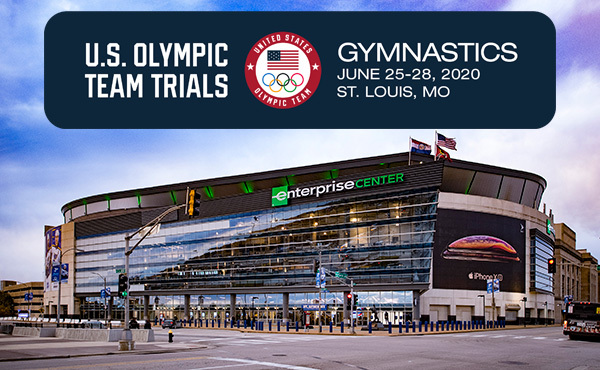 Allen’s gymnasts who competed in the Olympics are: Phil Cahoy (1980), Kevin Davis (1988), Dimas (1992), Larry Gerard (1980), Hartung (1980, 1984), Johnson (1984, 1988), James Mikus (1984, alternate), Tom Schlesinger (1988, alternate) and Wes Suter (1988). His gymnasts who won a total of 28 U.S. national titles are Cahoy, Davis, Gerard, Hartung, Johnson, Mikus, Chris Reigel and Bob Stelter. Allen’s 40 seasons as the Huskers’ head coach makes him the longest tenured head coach in Nebraska history. 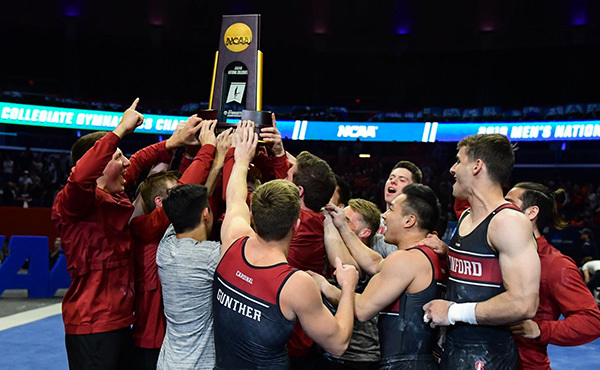 His eight NCAA titles rivals any head coach in the history of Cornhusker athletics and places him second among all men’s gymnastics coaches in NCAA history. When he was hired, Allen became the youngest head men’s gymnastics coach in the country in 1969, and he retires as the oldest collegiate coach in the nation. “It has been a dream ride for a Nebraska boy and a Lincoln High graduate,“ Allen said in a story posted on Nebraska’s Web site. “I couldn’t have imagined coming here out of high school that I would have the opportunity to work with conference champions, national champions and Olympians. There has been a lot of ups and down, but it has all been worth it. 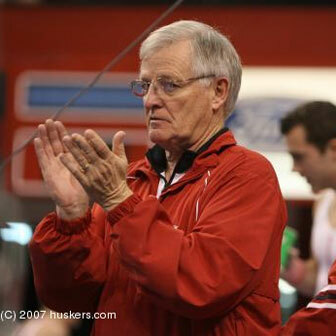 Nebraska Athletic Director Tom Osborne saluted the effort of Allen and his leadership of the Cornhusker gymnastics program. Osborne’s association with Allen began when Allen was a Cornhusker athlete and Osborne was a football graduate assistant. Osborne said Allen will assist with the transition in the men’s gymnastics program over the next three months. Allen’s Nebraska teams captured NCAA titles for five straight seasons from 1979-83. The Huskers added titles in 1988, 1990 and most recently 1994. In addition, Allen’s teams earned seven national runner-up finishes. From 1979-95, Nebraska finished either first or second at the NCAA meet 15 times. Including the 2009 season, the Huskers have competed in 25 of the last 31 NCAA Championships, advancing to the finals 16 times. 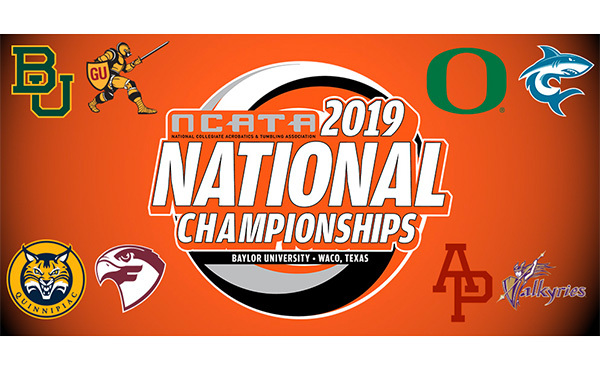 Individually, Allen’s athletes have earned 172 All-America awards, and a total of 41 gymnasts have earned individual event titles, seven of which came in the all-around from such internationally known competitors as current NU assistant coach Hartung (1980 and 1981), Suter (1985), Schlesinger (1987), Patrick Kirksey (1989), Dennis Harrison (1994), Richard Grace (1995), and Jason Hardabura (1999). 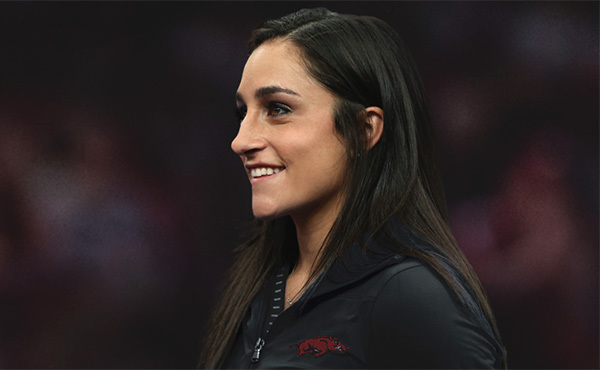 Hartung (1982), Suter (1986) and Schlesinger (1987) were also awarded the Nissen-Emery Award, given annually to the nation’s top senior gymnast. 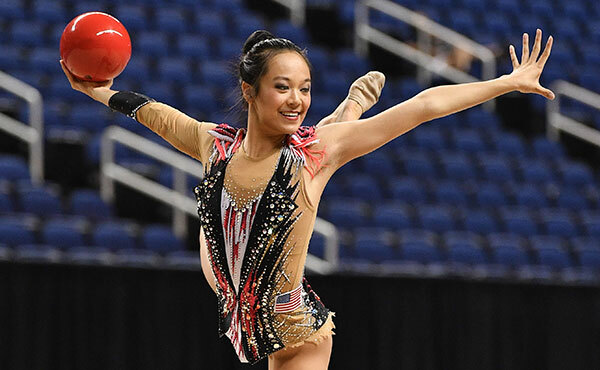 Allen’s gymnasts earned 15 Academic All-America awards. Before taking over as coach at Nebraska in 1969, Allen was a top gymnast for the Huskers. Allen began his long association with NU in 1962. Allen and former Nebraska assistant coach Jim Howard led the Huskers to back-to-back conference titles in 1963-64, before going on to co-captain the 1965 squad. 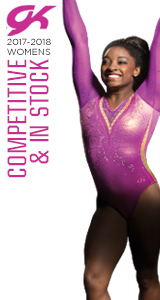 Allen was a national gymnastics all-around finalist from 1962-64, finishing as high as fourth in 1964. He also took first place on the parallel bars at the Big Eight Championships the same year. Upon graduation, Allen immediately began his coaching career as an assistant until 1969, at which time Allen took over head coaching duties.